Are you looking for creative ways to brighten up your kitchen or bring a dreary bathroom to life? Illuminate these interior spaces and create your own light show with skylights. 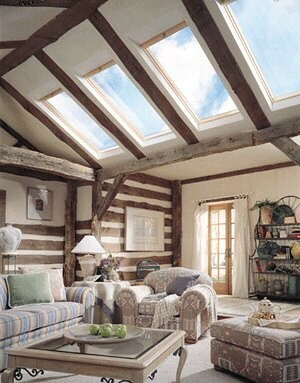 Skylights are unique design elements which open up new angles of light and color for your interior spaces. Skylights have different effects upon design than conventional windows and lighting. With proper planning for aesthetics of lighting and architecture, and keeping energy efficiency in sight, you can achieve dramatic effects which bring your kitchen and bath to life. The important element to remember is planning. Lighting is often the last design element considered, especially for the kitchen. With the permanency of skylights, it’s important to take your time and consider all your options and angles. Skylights give you the opportunity to create your own personal light show in your own private viewing arena. Consider the angle of the light from season to season. Skylight design should work fluidly with wall window design, not interchangeably, since both roof windows and wall and door windows allow light to stream in at different angles at different times of the day. For instance, a wall or door window catches the low-angled light of the winter sun, where a skylight, depending on the roof slope, illuminates different spaces in the kitchen and bath. When the summer sun is high, the direct light rays streaming through skylights make a bold, dramatic effect for any room. The exhilarating elements of illuminating your interior spaces with skylights are that skylights offer beauty of design and beauty of light. The emotional affects of skylight design, conscious or subconscious, are always positive: light, serenity, curiosity, calmness, assuredness, mystery, excitement and delight. These are emotions which beckon the observer to follow the light, to connect, and can not be experienced by gazing at a spiritless 100-watt light bulb or subfusc fluorescent light tubes. The design elements to consider for skylights are shape, size, number and special effects, and all are correlative to the next for dramatic results. You may decide upon multiple rectangular skylights with white trim for a greenhouse look in the kitchen, or a single tunnel light illuminating a granite bath for a bold look and feel. Perhaps you would enjoy a daily meditation vacation in your bathroom-spa with a cluster of skylights for an elegant and serene experience. The technologies available today all but eliminate any former misgivings about installing skylights in a home, such as excessive heat gain during the summer and heat loss during the winter. Window treatments are available, and recommended, that serve to enhance the visual performance, energy efficiency and increase durability of skylights for safety and lifespan. Treatments and add-ons are designed to minimize heat gain/loss from season to season, making skylights a wise and “green” design element in a home. 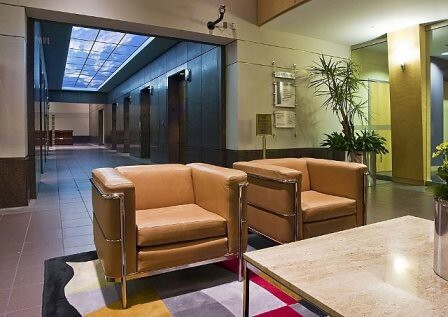 Treatments include UV coatings to protect furnishings and occupants, tinting and color options for aesthetics and honeycomb blinds to diffuse light. Remember, when designing skylights, the sky is the limit. For optimal results, skylights should be installed in your Northern Virginia or Southern Maryland home by a professional roofing contractor. Contact the roofing and home-design experts at Exterior Medics to begin creating your interior light show. Mark Watson takes a client-centered approach to operating Exterior Medics. His passion is providing homeowners with top-notch customer service, quality products, and superior remodeling experience. His direction has lead Exterior Medics to be awarded Angie’s List Super Service Awards, featured in Best Picks Report and Qualified Remodelers Magazine.